A launch event will be held next month to mark the introduction of the new Common Law Programme at Glasgow University’s School of Law. Starting at 3.00pm on 19 October there will be a panel session among senior members of the judiciary/practitioners/academics on: “The tradition and evolution of the common law, focussing on its key characteristics and their mode of operation”. The panel will comprise of Sir Richard Arnold, Professor David Ormerod, Professor Cally Jordan, Sir William Blair, Professor John Cairns, Dr Julian Farrand QC and will be chaired by Professor Andreas Rahmatian. 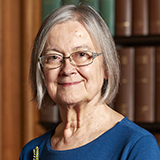 Lady Hale, President of the Supreme Court, will give the keynote address at 4.30pm.